Alexandra guides new-comers to Copenhagen to her favourite ‘smørrebrød’ restaurants and visited us for a Gentlemen’s (or women’s) luncheon.“This inner-city dining room, with green and white-checked tablecloths and immaculately dapper waiters is a Copenhagen institution for longstanding regulars and gastronomy connoisseurs the world over,” writes Alexandra. Alexandra and her companion to developed a special liking to our home-made aquavits and finishes the story of their visit: “Expect to roll yourself away and over the cobbles of this old, crooked atmospheric street at least two hours later like a true gent”. 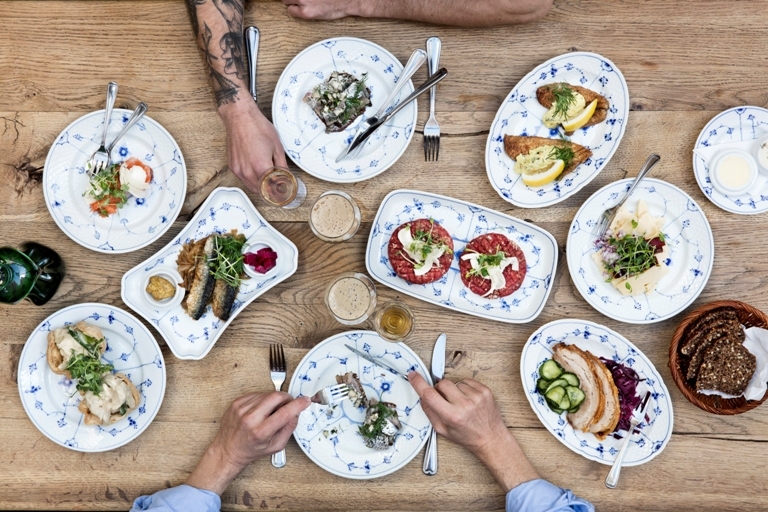 We thank Alexandra for being a true sport and happily recommend that you read her guide to the best ‘smørrebrød’ restaurants in Copenhagen in the magazine WOW.